CPA X-tend kivipuurimisseadmeid used for complex work in hard to reach places. 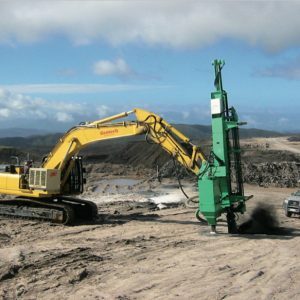 Their puurimisdiameeter a 64-115mm and a maximum drilling depth of up to 28m. “Montabert” puurimitehnoloogia feels rock conditions and automatically makes the necessary adjustments in the strength and speed of rotation and stroke. CPA225 a drilling rig for hydraulic excavators. 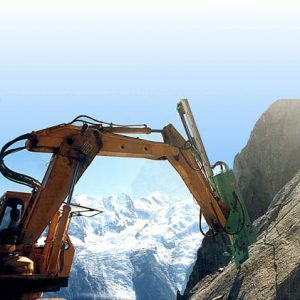 Using this device is not just excavator to dig and drill but also destroys. All puurimisfunktsioone hydraulically controlled to achieve a perfect work of an embodiment of the device, and the maximum lifetime of work. This patented drilling system works without a computer management and other sophisticated electronic systems.